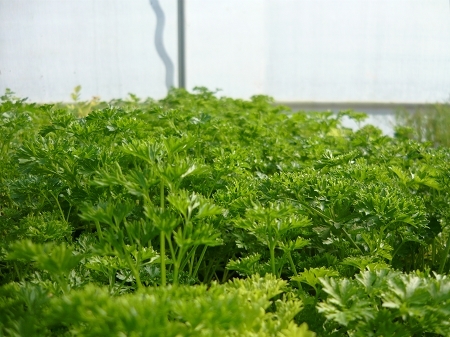 Triple Curl Parsley - Most common parsley variety used as a garnish, frilly curled dark green leaves have a nice parsley flavor and is also good for culinary use. Pretty container or hanging basket plant. Easy to grow biannual zones 6-9 Live plant in 3 inch container.